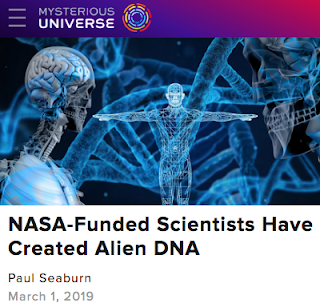 People come up to me all the time and ask me, "Chris, are there plans afoot to merge human DNA with the genome of some alien species from Nibiru or somewhere like that?" I always have to tell them that I don't have a definitive answer. I just know that such an eventuality seems to be on somebody's mind out there, judging from the weird headlines popping up hither and yon. We looked at this story of a NASA contractor creating four new nucleotides, apparently to help in the search for extraterrestrial life or some such other ridiculous cover story. 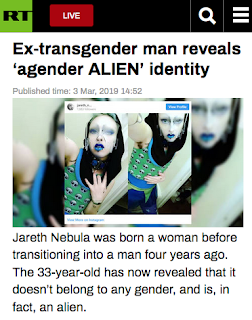 I can't rightly say if these compounds were conjured up by some quantum computer crunching numbers beamed in from deep space via radio telescope but I can't not say that, either. 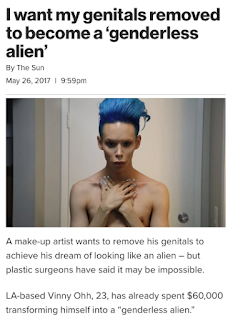 But I can say what I've been saying for a while now: the whole transgender movement as we know it is only an temporary, intermediary step on the way to a transgenic revolution that will make the most outré nonbinary at the most expensive liberal arts college look as staid and conservative as nonbinaries now regard ordinary lesbians and gay men. I realize some folks out there might have trouble accepting that, but the truth is we're already seeing the opening salvos in the alien invasion. Vinny and Jareth might be the most attention-starved (and have the most disposable income) but poke around social media for a spell and you'll see there are a lot more like them out there. Throw in the Otherkin and all the rest and then try to seriously tell me that there won't be thousands of desperate souls willing to subject themselves to the most horrifically-invasive procedures if they think there's a chance it might quiet their intolerable inner turmoil. Or at least rack up some mad clicks for their Instagram. 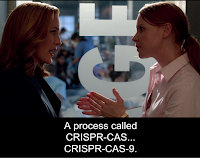 Body-modification, which has produced some major horror-shows in the past few decades, will be soon be regarded as chickenshit half-measures once posthuman autodidacts and fanatics master garage-level gene-editing, a process that's already well-underway. 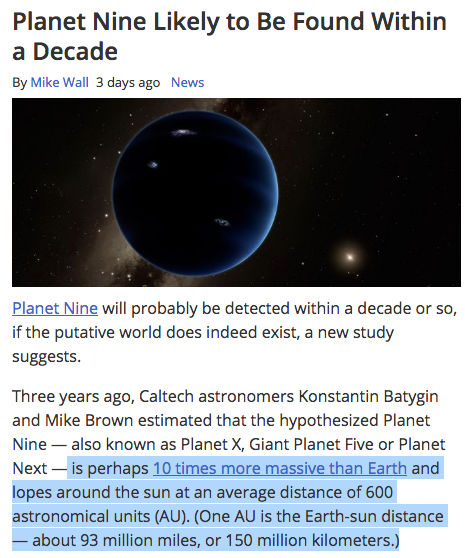 That's the road we are presently on and I'm afraid it will eventually take very extreme measures if we ever decide to get off it. Not trying to be Debbie Downer or anything, just calling it like I see it. 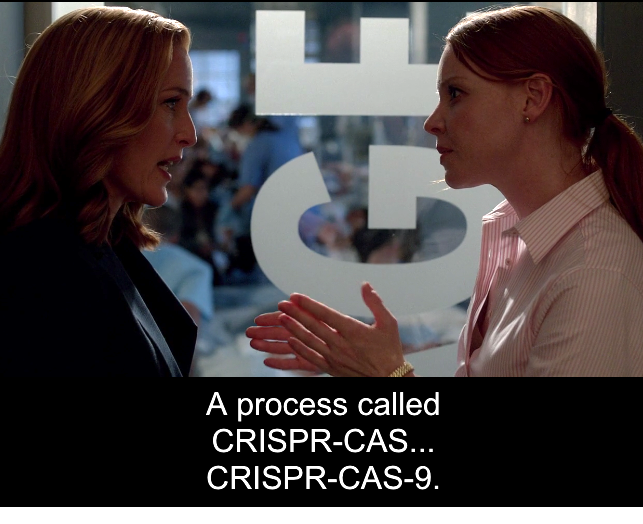 Now, I thought Season Ten of The X-Files was as disappointing as the next guy but not because they weren't aiming for the bleachers when it came to delving into the scientific hellscapes we could potentially be facing because of advanced gene-editing. 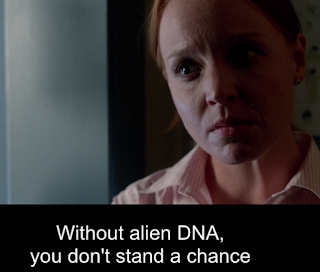 Not just the engineered plague but the poor kids subjected to mad-scientist DNA-fiddling in "Founder's Mutation." 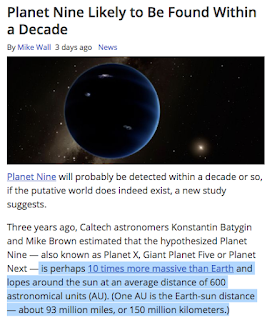 Does anyone really doubt that's going on out there? 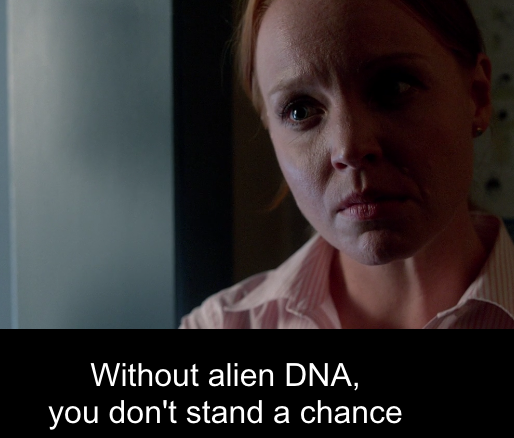 I'm just saying this series does have a track record with this sort of thing. I'm not going to argue with you if you see it all as predictive programming. Of course, kids being subjected to mad-scientist genetic testing has been going on since the 19th Century. 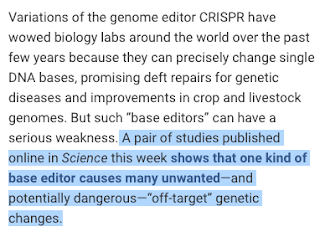 One shudders to think what kind of horrors are taking place in remote or underground labs on untraceable runaways or immigrant kids, especially now that CRISPR therapy on human beings is being rolled out for public consumption. 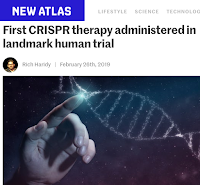 The pretext is treating disease (as expected), but once the veil is pierced the irresistible process of incremental envelope-pushing inevitably takes over. You can bet the farm on it. 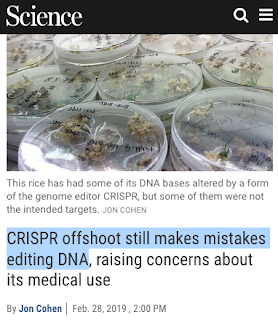 And right on schedule, the ground is already being laid for the "mistakes were made" non-apologies. 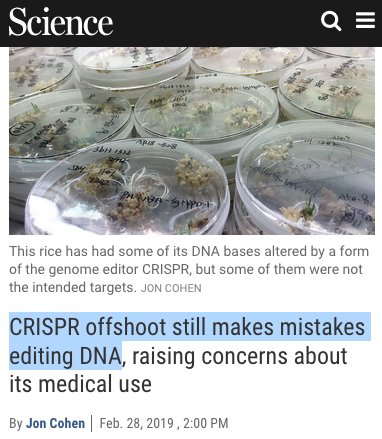 By which I mean the changes to the human genome that have been proposed and theorized before all of us were ever born will all be excused away as mistakes, "unwanted" and "off-target" genetic changes. In other words, more neurolinguistic sorcery squarely in the tradition of "collateral damage", "accounting error" and "refugee crisis." Elon Musk's SpaceX returned the Dragon to the stars so that it could rendezvous with ISiS, which is NASA's Whore of Babylon surrogate. 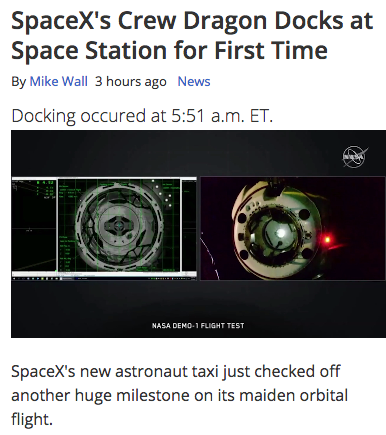 I could have sworn this has been done dozens of times before but apparently this is the Crew Dragon, which is a manned vehicle (that wasn't actually manned, or even personned). Does any really care about any of this anymore? The kind of attention this pageantry gets only makes sense to me if it's all being done in a ritual context. Weren't we sending shuttles to ISiS several times a month back in the day? I can't keep track. But remember that in the context of Theoastrology™, the Whore of Babylon is the constellation of Coma Berenices, named after a Ptolemaic Queen of Egypt. 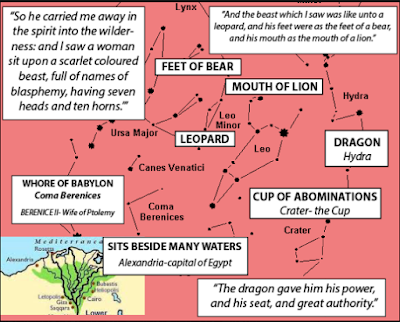 By definition an Egyptian Queen was an incarnation of Isis, so you can clearly see the symbolism at work with this little sky-show we're looking at. Donald Trump even got in on the fun by tweeing that NASA is "rocking" again. Is that some kind of Simpsonian Stonecutters pun or something even more arcane? If so, how does that jibe with reports that the US dropped white phosphorus on ISIS dupes and patsies in Syria? Before you answer, remember that phosphorus is another name for Lucifer, the Morning Star. 15 Then the angel said to me, “The waters you saw, where the prostitute sits, are peoples, multitudes, nations and languages. 16 The beast and the ten horns you saw will hate the prostitute. 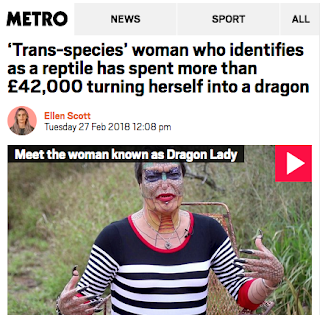 They will bring her to ruin and leave her naked; they will eat her flesh and burn her with fire. 17 For God hath put in their hearts to fulfil his will, and to agree, and give their kingdom unto the beast, until the words of God shall be fulfilled. It must be nice to be part of an insane secret society with godlike delusions and all the money in the world to burn. The word on the street is that SpaceX founder Elon Musk is splitsville with Grimes, but I'm not buying it. My gut tells me that they have to pretend as much since Musk really stepped in it when he set Tesla stock at $420 to get a girlish giggle from his galpal Grimes. Have to keep it on the downlow for a while. Even so, it looks to me like they were playing footsie on Twitter with their Russia injokes, given the timing and all. If you're not familiar with the history here, Grimes sent Musk a birthday greeting in Russian, referring to him as "My Demon," and wishing he enjoys "Year 48 in the Simulation." 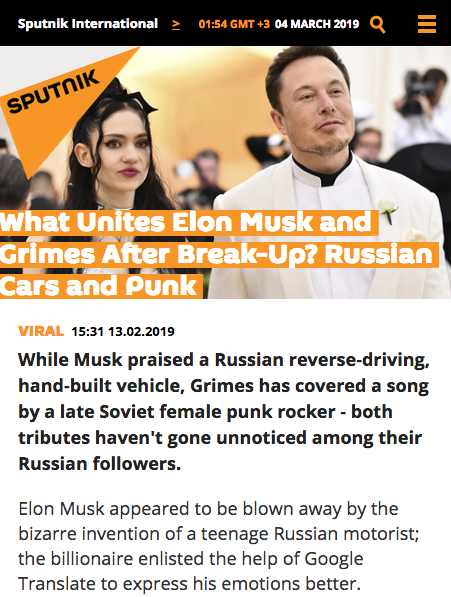 Rumor has it that Grimes was even teaching Musk how to speak Russian. 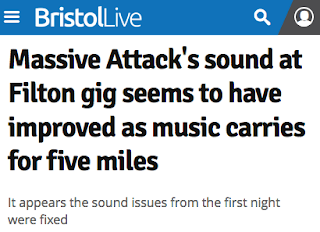 Seeing Grimes is a prime candidate for human-alien hybrid, I'm sure she probably picked it up overnight. This was the video Sputnik was referring to, with Grimes singing a few verses of "My Sorrow is Luminous" by the late Siberian singer Yanka. 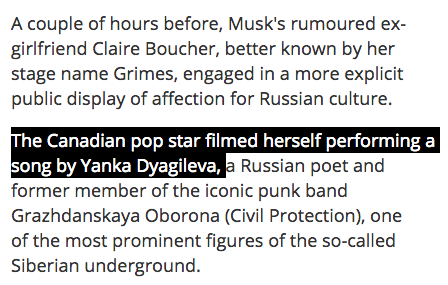 Grimes first showed off her mad Russian skills in November 2013, when she spoke a few sentences to a Russian interviewer. But Chris, I hear you asking, what could have possibly brought this all about? 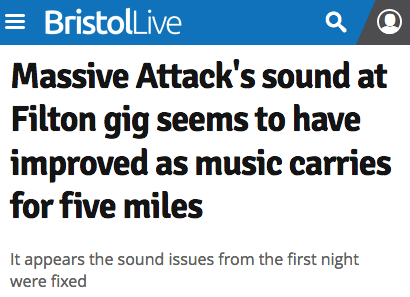 Oh dear, I guess you forgot who Grimes is, didn't you? Grimes is a high-ranking Bene Frasserit witch who was probably set up with Musk in order to teach him the Weirding Ways of the Sisterhood, in hopes he'll become the Order's KwiMusk Haderach. ...the Mother Sibylerior did likewise when she sang "My Sorrow is Luminous" in the shadow of Trump Palace, with a performance that ended with a (blurred) shot of a 9/11 jumper. Think there's a connection? I sure do. Don't forget that a Dragon Aurora (does terminology ever get more loaded?) 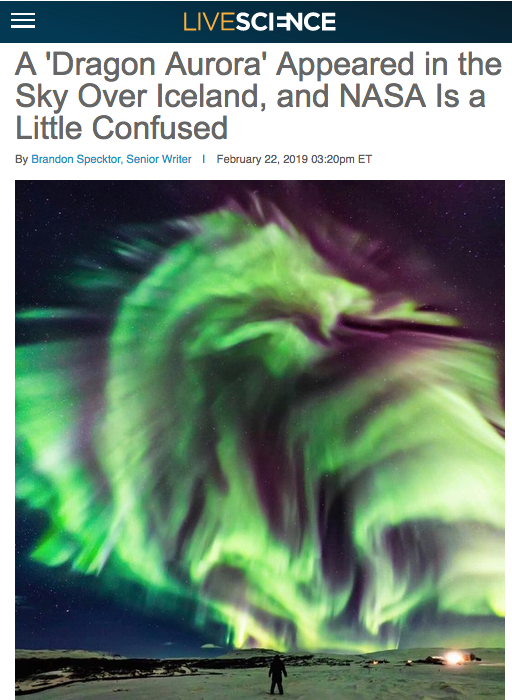 was filmed in the skies over Iceland last month and that the Mother Sibylerior sang the Icelandic doxology, "Hear, Smith of Heaven" during her earthly manifestation at Soho's Golden Slipper late last summer, an event I predict will be studied and revered by future generations. 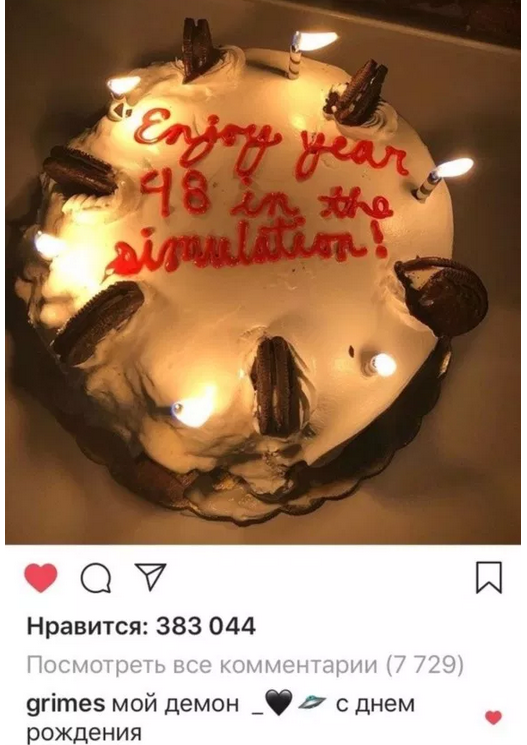 Providing there are any. 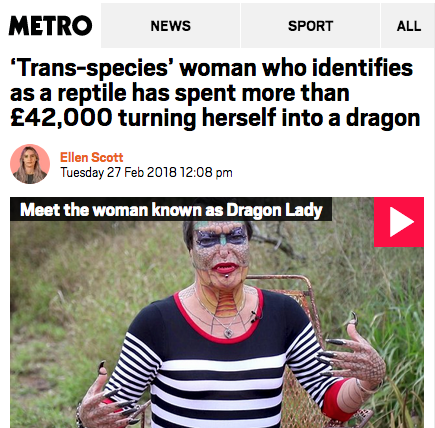 Remember also that this whole SpaceSeX Dragon-Babalon LARP took place smack dab in the middle of the Mother Sibylerior's homecoming to Bristol, along with her cohort of Zensunni Fremen. Their canticles and psalmodies were heard for miles around. 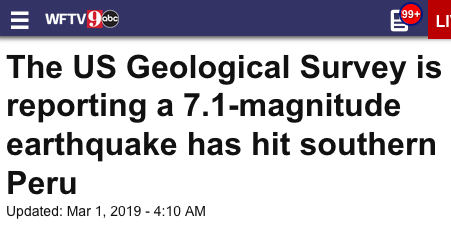 Souls were reportedly saved. Also remember that in our little psychodrama the Mother Sibylerior has been assigned the role of the Woman of Revelation 12, AKA Virgo (not coincidentally, the sun-sign she descended to our damned realm under). 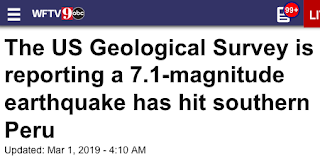 In other news, we saw there was a bit of a sugar hiccup near Lake Titicaca on Friday and the Earth tossed and tumbled all the way up to 7.1 on the Richter Scale. What I didn't realize is that it was preceded by a mass sighting in that same country earlier last month. Not sure if that qualifies as the Heavens curtsying and bowing but you can't argue with the timing. It's hard to tell exactly what was in the skies given the poor quality of the video but at first blush I have to admit they look (and behaved, reportedly) like the chevron UFO I saw over my neighborhood almost two years to the day before. Bonus sync: 7.1 is my birthday. 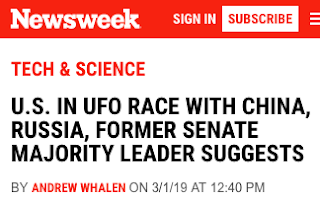 UFOs are still a hot topic in certain high circles even if interest among the public in the subject is at record lows. My guess is that this is all inspired by intramural Deep State rivalries, but that's just a guess. My other guess is that they believe arrival is imminent. 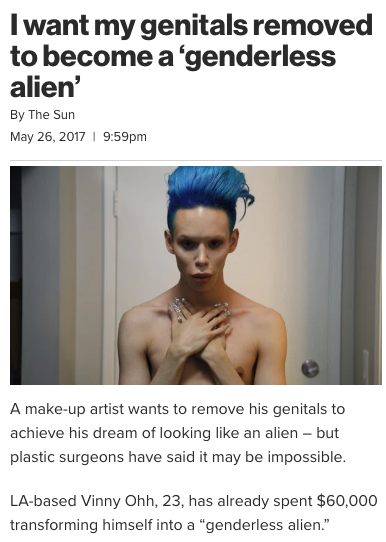 Still, given the "alien DNA" business and all the rest of it, it does make you wonder what is really going on behind the scenes. One needs to take a holistic approach to all this. 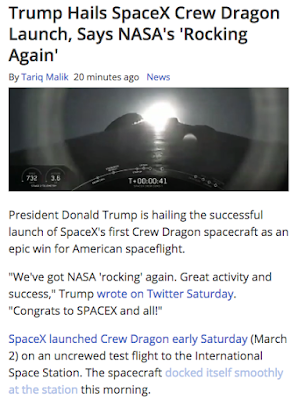 So it may be significant that not only does the KwiMusk Haderach want to build a base on the Moon (who doesn't, right? 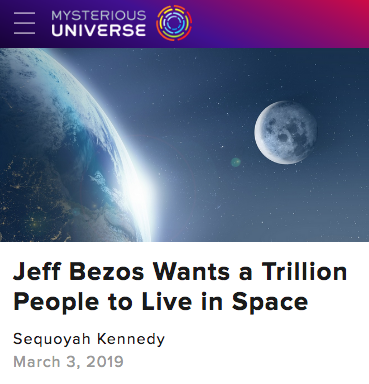 ), Jex Luthor apparently wants to build his own Spacing Guild (and install his clones as Padishah Emperors, certainly). I hear our Jex has already started training Mentats for the push. He might want to consult with the Anunaki High Council while he's at it and make sure his spacely ambitions for the Adamu harmonize with their own. Avoid any unfortunate lapses in communication.